Play with Cindy the Snowball Girl. Try to hit her with your snowballs. She pulls faces and says funny things to you. 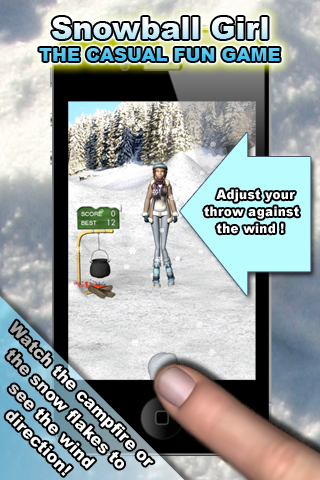 But you must also check the wind direction, which can blow your snowball away from her. Can you beat your best score? 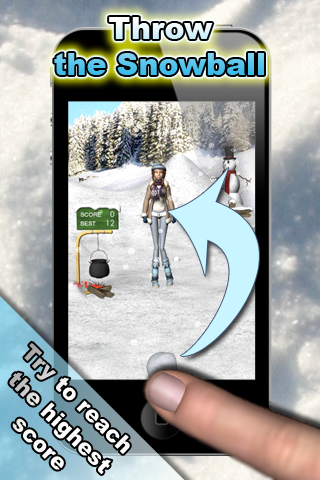 Have fun with this great winter game. - Improved the throw performance.